4. Drivers for setting up a wireless device. What are the system requirements? Warp3 or higher, eCS, or WSoD and the appropriate device drivers. First of all, you need a PCMCIA slot, mostly PC CARD type II. This can be either a regular PC Card slot in a notebook, or it can also be a PCI-to-PCMCIA adapter using the PLX driver (included in Generic PRISM device driver). Please do NOT bombard me with e-mails asking for these drivers; I won't give them. I got them for testing purposes only, and I promised both IBM and the developer that I wouldn't distribute them. Please wait until they become available via SoftWare Choice (which should be really soon now), or get an IBM business contract. Also, please don't bother IBM with questions regarding the drivers in development that are not available to the public yet. The Orinoco (also referred to as WaveLAN) by Lucent/Agere is kind of a debugged and enhanced PRISM chipset. It offers data transfer rates up to 11Mbps. Orinoco-equipped WLAN cards are considerably more expensive then PRISM ones. Compared to the original PRISM2 chipset, Orinoco performs better (though not better than PRISM3) because of ameliorated firmware. The Artem ComCards are - at present - the only wireless cards that come with OS/2 support out-of the box. BinTec and Jakarta Blue cards are OEM variants of the Artem card. They all work with the same driver, the ComCard NDIS 2.01 Treiber (latest version is 1.5), which can be downloaded from the our WiFi drivers download page. This driver is also included in eComStation 1.1 (although not the latest version). Note that the driver available for download from the Artem web site is not the latest version. The driver comes in a static ZIP-file, which you need to unzip the files of to x:\IBMCOM\MACS, where x: is the drive on which OS/2 is installed. Artem regularly provides updates and bug fixes. There is a also very good article available about how to install these drivers on eCS and OS/2. Mensys distributes all of these cards actively in Europe, and Artem sells directly to individuals in the Americas. OS/2 CHL hardware testing team has tested some of these devices, and they offer very reasonable performance for reasonable pricing. BinTek also hosts a driver for their cards, but that is just the same driver as that of Artem. All Artem cards support 64-bit and 128-bit encryption. Artem driver revisions 1.5 and higher are designed to work with the nice IBM WiFiState utility. Some other very professional device is the IBM High Rate Wireless PC Card 128. Just as CISCO, IBM can go along the ride with superior performance, combined with extremely high pricing. The driver is specifically for this card, and cannot be used with other Orinoco cards. The driver was in internal IBM beta testing for some months,but now it has finally been made general availability via IBM Device Driver Pak Online (need valid and active SoftWare Choice or PassPort Advantage subscription). It is also available via eComStation download site, if you have a login to access the downloads section. The self-extracting file ibmwifi2.exe contains a DDP file, a good readme, and all things that can be desirable. Surely, just as is the case with the CISCO driver, this driver was meant to be for business needs. It is also equipped with the WiFiStat.exe utility, discussed in a later section. On the global IBM web site, OS/2 support is stated: "IBM is offering OS/2 device drivers and support for these OS/2 drivers for the IBM PCMCIA Wireless LAN cards on a fee basis. For more information please contact emeawarp@de.ibm.com." This means, the driver is also available via IBM business contracts in case you wouldn't dispose of a SWC or PPA subscription. The IBM High Rate driver performs better than every average WiFi card, but compared to the CISCO 340 Series physical performance, it gets the worst of it. There's also a modified version of the Artem driver, which does truly allow other devices to work with this driver by specifying the manufacturer and device IDs. In fact, it is one of the older versions of the Artem driver. Current Artem drivers don't have this feature and thus are for Artem, BinTec and Jakarta Blue devices only. As already said, these IDs are used by the device driver to search for and locate the wireless device(s). In fact, this driver is unattainable for the public, but somewhere on the World Wide Web, it is traveling, and offering extreme good support for a great deal of Orinoco-branded cards. As of the Release Candidate 1 release of the IBM Generic PRISM device driver, support for Orinoco chipsets was added to this driver. Please refer to the section about the Generic PRISM device driver for more information. Just like the Orinoco chipset, PRISM2, PRISM2.5 and PRISM3 chipsets offer a maximum data transfer rate of 11Mbps. The older PRISM1 chipset only supports a maximum of 2Mbps. PRISM3 has the best performance, and can be compared to Orinoco chipset performance. Most WLAN devices are using a PRISM solution, and PRISM chipsets are normally rather cheap WLAN cards. This driver has been finished, and also internal IBM beta testing is completed. The driver has become available via SWC download. IBM miniPCI cards are used in many newer ThinkPads, like the IBM T30, and some other T2x models. The self-extracting driver ibmprism.exe has served as a basis for the NetGear, LinkSys, PLX9052, and Generic PRISMx driver. Some PCI-devices of other brands can also work with this driver. E.g. CompuShack SWN-103 PCI Wireless LAN Adapter, a PCI card with an external antenna, and equipped with a PRISM2.5 chipset. Just as the IBM High Rate PC Card 128, this driver is available via SoftWare Choice and PassPort Advantage subscriptions, and can be downloaded from IBM Device Driver Pak Online. Also available via eComStation download site. Please note that IBM ONLY supports this device with this particular driver! Other devices (in particular miniPCI solutions) WILL NOT WORK. The NetGear company's strategy is something like offering good average-performing devices for a reasonable price. I really like the way their support services handle non-Windows questions. They carefully say that they don't support the operating system referred to, but they try to help you as much as possible. Those guys really know the technical details of their products, like the manufacturer and device IDs! Very good, since the documentation that comes with the card is rather limited. The card uses a PRISM2.5 chip, and has two variants: the MA401NA, which is available in North-America; and the MA401RA, for Asia and Europe. Due to the PRISM2.5 chip, the driver is identical to that for IBM miniPCI, but since the manufacturer and device IDs from NetGear and IBM are different, a specific driver for this WLAN NIC has been written. You can also get this device going using the Generic PRISMx driver. The MA-401 card performs well for short distances. Even very thick walls don't really diminish its performance. Unfortunately, for large distances, the signals aren't strong enough; I only got the card's waves to one of my neighbors, and not to the next street. But, if you want a good card for wireless home networking, go for this one! The driver is not available to the public yet. This card is also supported by the newer RC1 release of the official IBM Generic PRISM device driver. LinkSys has always been a very reliable brand for network products (that's part of the reasons why CISCO recently bought LinkSys). With its Instant Wireless WPC-11 card, LinkSys offers a great product for a reasonable price (€ 80.00 incl. VAT). Just as a lot of manufacturers, this card comes in several versions. The third version, equipped with a Prism3 chipset, has a special driver, which is just a modification of the Prism2/2.5/3 driver (and again, it also works with the Generic PRISMx driver). Version 2.5 comes with a Prism 2.5 chipset, but I didn't test this card (though I really don't forsee any problems when you use the PRISM2/2.5/3 driver, using the correct IDs). Taken a look at the card's performance, I was astonished by the good results: the cards actually supports a distance of 450 meters outside @ a data transfer rate of 1.2 Mbps. Even CISCO couldn't give these results. Unfortunately, LinkSys's support services are awful. I had asked them for device and manufacturer ID, and also the chipset they used in the product, and they simply refused to give "this kind of information"! Documentation is awfully limited, thus, if you're new to WiFi, don't go for this card! Also, this driver is not available to the public yet. This card is also supported by the newer RC1 release of the official IBM Generic PRISM device driver. Another modification of the IBM miniPCI driver is a Generic PRISMx driver. Theoretically, the driver was written for PRISM2.5; but because of some backwards compatibility aspect of the chipset's design, it should also work with other PRISM chipsets, if they are Intersil-branded, thus using Intersil firmware. PC Cards using the PRISM2, PRISM2.5 and PRISM3 chipsets should be supported. The Generic PRISM driver is currently in Release Candidate phase, and is intended to appear on DDP OnLine via valid and active SWC or PPA subscription. 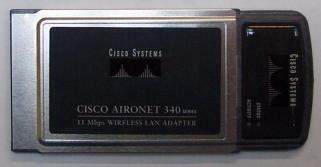 CISCO 340 and 350 products use an AiroNet chipset, which is actually again a greatly enhanced PRISM chipset. Cisco has always been a leading networking company because of its high quality products. Unfortunately, this also reflects in the company's price strategy :( Now, both the CISCO 340 and 350 PC Cards perform excellent. Without a doubt, I dare say that these cards are the best of all the ones I tested. The 340 Series are End Of Life (EOL), but the 350 Series are available now as a replacement, offering the very same functionality. Installation of the drivers is a breeze. The driver comes in a ZIP-file, that is not self-extracting. An excellent FAQ is included in the readme. It's noticeable that IBM is targeting this product for use under business contracts only, since everything is so smooth... Just copy the drivers in your x:\IBMCOM\MACS directory (where x: is the driver letter from the drive on which OS/2 has been installed), open MPTS, and add the card. In my case, I didn't even have to change settings to get the card running! Mark Dodel has written an excellent report about this card for eCS. There seems to be some misunderstanding in the OS/2 community about this driver. This driver ONLY supports PCMCIA cards, thus PCI and ISA variants of the same series won't work under OS/2. Perhaps you can get them to work by the PLX 9052 driver, although the PLX driver offers only support for PRISM. Just as is the case with the other cards, there are different variants available of this card. Of each version, there are European and American edition available, since, as was already mentioned earlier, power consumption differs on both continents. For the CISCO 340 PCMCIA card, three variants have been released: first, there is the AIR-PCM340, which doesn't support WEP. The AIR-PCM341 supports 40 bit WEP encryption, while the latest version, AIR-PCM342 supports up to 128 bit encryption. Setting up WEP protection is really straightforward with this driver; more details about this will be given in the next section. Perhaps you would expect support for LEAP, CISCO's proprietary standard for security. Unfortunately, this is not supported, nor are the other security technologies from CISCO for WLAN networking. Though I managed to get the AIR-PCM350 running with the 340 driver, IBM does not officially support this. IBM has just started the development of another business-only device driver especially for the CISCO 350 PC Card, which will also officially support the CISCO 340 PCMCIA series and that will incorporate LEAP support in the driver package. Development of this driver should be straightforward, since the 350 is a very close follow-on to the 340, since you can even flash a 340 to make it a 350 card. The new 350 driver should also support the miniPCI version of the 350 Series, including bus mastering. The old IBM driver is unfortunately not stable, testing made it trap after a few seconds of full traffic load. The support for encryption is only for 40 bits (WEP-64), only one key. With the new 350 Beta driver, there is better throughput than any PRISM-based card. This comes due to a different buffer allocation scheme in the driver. The only weak spot in hardware support for OS/2 is PCMCIA or PC Card Socket Services (However, with APSoft's OS/2 Socket Services, that problem can be solved quickly). Some very handy solution are PCI-to-PCMCIA adapter devices. These cards enable you to use virtually any WiFi PC Card on regular computer. In their specifications, most manufacturers claim that only one or two specific cards work with the board, but that's just commercial nonsense. Fact is that most of the time, these slots will only work with a particular chipset. Currently supported chipset is the PLX PCI9052 chip, that can co-operate with PRISM2.5 compatibles. In general, if you use a WLAN card with the very same chipset and same voltage, you should be able to use any similar device in the brackets. For similar devices using a PLX 9052 chipset, a driver is available. It was written especially for the AmbiCOM WL1100b-PCI card, and has been enhanced and merged into the official IBM Generic PRISM device driver. Also, the NetGear MA-301 PCI-slot-Adapter was found to be compatible with this driver, using almost any PRISM2.5 card. Also Belkin WL11000P and LinkSys Instant Wireless Adapter WDT11 PC are supported. The driver is still in very early development phase, and device IDs are still being added to it. This driver should also work with wireless PCI cards, that also use the required chipsets (like 3COM 3CRWE777A PCI WLAN card). One VERY IMPORTANT note: do not remove the WiFi card out of the slot before you've turned off the power, either by powering your computer off, either by using the drivers. Ignoring this warning will cause damage to your PLX board and WiFi PC Card. The older beta device driver is still available via login and password on this web site, but we recommend the use of the newer updated IBM Generic PRISM device driver (RC1 version or above). Huge difference is that using the Generic PRISM RC driver, you will be able to use Orinoco and AiroNet PCMCIA cards in conjunction with a PLX card too! Wireless devices, such as laptops or PDAs, connect to a wired LAN via a Wireless Access Point, which is a hardware device or computer software which acts as a communications hub (server). Access Points provide heightened wireless security and extend the physical range of a wireless LAN. Using a Wireless Access Point, you can establish several WiFi connections with one single device. Mostly, such devices come with an Ethernet port, which you simply connect to the server. Devices like the Linksys WAP11 Version 2.2, 3COM AP2000, CISCO AIR-AP1120b, HP WL-520, TrendNet TEW-310APB, ZyXEL ZyAir B-1000, Artem access points, etc. work with a flexible web-browser based setup and configuration utility. These devices are compatible with OS/2 Warp (for e-Business) and eCS, and have been tested by the OS/2 CHL. Other come only with software, and thus aren't suitable for use with OS/2, nor Linux. Also, there are Eicon DSL-routers that also allow this kind of configuration. Normally, these devices should act as a DHCP server. Just plug them into your Ethernet port, configure the port to be a DHCP client, and reboot. One tip I'd like to give: if you want to use these devices, make sure your computer has a very recent build of Mozilla installed, and also Java 1.3.1 or higher. Since M$ Internet Exploder is considered to be standard, older builds won't be able to display everything. Some other good alternative, and then especially for businesses is to use a Wireless Access Point for IEEE 802.11g on the server. OS/2 nodes could use the b-standard, and other Windows nodes could use the g-standard. With the recent introduction of Intel's Centrino specifications for the latest notebooks, comes a special miniPCI wireless adapter as feature of that specific technology. This miniPCI device is the Intel PRO/Wireless 2100 v 3b device. Unfortunately, as of writing, this device is not supported by any of the OS/2 device drivers already available for OS/2. There is a beta device driver available for selected Linux distributions, but it is still very buggy and only works on selected distributions. More information about the Intel Centrino technology and OS/2 is to be found in the NoteBook/2 part of this website. Most WLANs deployed by organizations operate in a mode called "infrastructure." In this mode, all wireless clients connect through an access point (such as LinkSys WAP11 v2.2) for all communications. You can, however, deploy WLAN technology in an easier way that forms an independent peer-to-peer network, which is more commonly called an ad hoc WLAN. In an ad hoc WLAN, laptop or desktop computers that are equipped with compatible WLAN adapters and are within range of one another can share files DIRECTLY, without the use of an access point (compare this to the similar technology USB On-The-GO, which uses a similar approach). Thus deploying this strategy, you can use a direct connection between your clients. The range varies, depending on the type of WLAN system. Laptop and desktop computers equipped with 802.11b or 802.11g WLAN cards can create ad hoc networks if they are within at least 500 feet of one another. Computers in a specific ad hoc wireless LAN must be configured to the same radio channel to communicate with one another. More than one ad hoc networks can exist in the same space if it is configured to operate on a different channel. There are a varying number of channels depending on the part of the world you are operating in. Europe has 13 channels, the US 11 and Japan 14. The security impact of ad hoc WLANs is significant. Many wireless cards, including some shipped as a default item by PC manufacturers, support ad hoc mode. When adapters use ad hoc mode, any hacker with an adapter configured for ad hoc mode and using the same settings as the other adapters may gain unauthorized access to clients. Ad hoc is a rather cheap solution, because each client needs a wireless NIC that is already available for less than € 80.00 incl. VAT, which sometimes comes built-in with new notebooks. 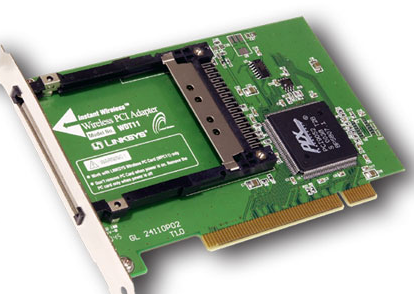 For a regular workstation, a PCI-carrier (with the PLX PCI9052 chipset) can be used. This PCI-to-PCMCIA slot is very handy, the cards can be taken out of the slot at any time you need a WiFi card for your notebook. A pure P2P solution is - of course - only suited for a limited number of nodes/clients. Deploying the infrastructure mode, an AP takes care of all wireless network traffic. The client in your network can communicate to one another via this AP (see it as the server in a client-server network environment). Of course, you can also connect an AP "wired" to your existing wired network. The exact location of your AP can have an implicit impact on the strength of signals, and thus also the bandwidth and range of your WLAN, but using the WiFi Status monitoring utility, you will soon find out the details. Practice has already proven a high-placed AP with the antennas directed to the wireless receivers to deliver the highest signal strength. It's also better to keep the AP as far away as possible from large (metal) obstacles or electrical sources that can cause interference. Also, the same conditions for regular PCMCIA cards are appropriate here. Important remark, however! The AP's range is very limited in performance. The signal weakens visibly once distances between AP and receiver is larger than approximately 30 meters. So far, no solution yet but to use several APs simultaneously to bridge over these limitations. Nevertheless, using a WAP, the range of wireless connectivity can be greatly expanded. This is because the WAP serves as a central point for routing of all wireless network traffic between the wireless nodes in the network. Each AP spreads its own zone, but just as is the case with mobile phone antennas, these zones can overlap each other without any problem. This way, you can walk from one zone into another, without cutting off the connection (this is called roaming). The APs themselves can preferably be interconnected using classic wires and, of course, you should configure WLAN properly. The WAP can be configured to use encryption or grant access to computers with a specific MAC address. Wireless equipped computers networked together in infrastructure mode form a group called Basic Service Set (BSS). The BSS term is comprised of a WAP and all the LAN PCs that are associated with it. Up to 64 individual computers can exist at a single time in a BBS. This is due to the ability of the WAP to handle no more than 64 clients. The diagram below illustrates how the access point will effectively double the distance between wireless equipped computers in a BBS. Something else you should remember is that the total available WLAN bandwidth is divided between the devices that are connected in the network. P.e., suppose you have a server running with a PLX card, and you've got three other computers connected. You've got no WAP, and all three computers request data at the same time from the server. The server will probably use the entire throughput of 11Mbps, but it will divide the data to serve all clients on an equal basis. Thus, the clients each have less than 11 / 3Mbps throughput. This very same restriction applies also to WAPs. A term that also applies in the BSS (Infrastructure) operating mode is ESS (Extended Service Set). This is a technology in which more BSS'es can form a single subnetwork. Therefore, ESS is especially interesting for roaming. These services can only be deployed if the Wireless Access Point is configured correctly for that. There is often a great concern about electromagnetic radiation. Europe, in particular, is extremely conscious of the unknown health consequences of electromagnetic "smog". In the US, we hear periodic claims of handsets causing brain cancer. Whatever the evidence, the topology of multi-hop networks needs less power, as the signals go only a short distance. One can assume that lower power means lower health risk. Microwave ovens and many cordless phones operate in the 2.4 GHz spectrum, the same radio spectrum used by 802.11b Wi-Fi wireless networks. That means they can cause interference (can disturb each other's signals, waves), but in most instances this will just slow down the Wi-Fi connection; it won't stop transmission or break the connection. To reduce interference, you can move a 2.4 GHz cordless phone away from your Wi-Fi equipped computer or base station. Interference usually only happens with older microwave ovens. You can also try changing the channel on which your Wi-Fi network operates. In addition, some manufacturers have developed and implemented special technologies that can minimize interference from cordless phones and ovens. Which brings up the next thing to mention: channels. A channel is a frequency range within the IEEE 802.11 spectrum over which transmission may occur. How can we understand channels of IEEE 802.11b? They are part of the spread spectrum technology, and each channel is a range of frequencies 22MHz wide, and different channels always overlap a bit. This is how UnixWiz.net explains it: "When picking a channel, first see what your 'neighbors' are using, thus you pick up a channel that overlaps the least with them." We already said that a particular wireless network needs to share one same channel. But what exactly are these channels? Channels specify the band at which WiFi works more specifically, thus it is more accurate than 2.4GHz. A channel is a decimal number between one and 11 (13 in Europe) and designates the frequency on which the network will operate. Channel 1 equals a frequency of 2.412GHz, channel 2 2.417 and so on with steps of five until 2.462GHz for channel 11. Not all WiFi cards support the 12th and 13th channels, but if your devices does; the frequency of those channels are analogous. Should you have troubles from EMI, the solution is to specify another channel. Conclusion: electromagnetic interference: no big issue. This article only introduces this powerful IBM utility briefly, but this page gives more details and examples. The WiFiStat.exe monitoring utility really is a great utility provided by IBM. It works with all the WLAN WiFi drivers described above except the CISCO 340 driver, and it allows you to change NIC setting on the fly (you do need version 1.5 or higher of Artem's driver). Remember, all settings can be changed using the NIF file via MPTS, but then you are obliged to reboot. WiFiStat removes this obligation. In fact, the only thing you need to do in MPTS is add the driver and attach a protocol to it. 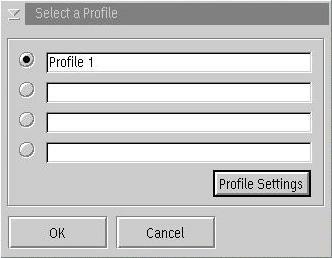 Also, very nice feature, you can specify up to four different Profiles, so that you can select the appropriate profile in a particular situation. The are two fields that always appear; the Status: field, which will tell you whether you are still searching a WLAN or whether you're already connected to one. And then, there's the SSID: field. SSID is the abbreviation of Service Set Identifier. It's a name (a sequence of characters) for the wireless network and it's sometimes simply called Network Name. In infrastructure mode, the SSID should be set to the same value as the WAP; in ad hoc mode, the SSID on ALL notebook (or for PC using PLX board) network cards in the network must be set to the same value. In the example above, my ad hoc network was called Wireless. As you can see, you can hide this field by right-clicking anywhere in the main window, and selecting Hide SSID. Analogous, you can re-enable SSID by selecting Show SSID. Very handy is the green indicator showing you the quality of your connection. The rectangle will be 100% filled when your connection is the full 11Mbps, the maximum. If the speeds are lower, then you will see this in this rectangle. If you haven't got connection yet, but are searching for the presence of a WLAN (and notice a WLAN announces his presence, which causes security issues! ), the Status: field will state Connected to IBSS, and sometimes it is changed by Searching for WLAN. The rectangle at the right is not green, you can hardly see a small white vertical line. Also interesting is that this utility (though copyright from IBM) also works with the Artem WLAN cards, if you have driver revision 1.5 or above. The WiFiStat utility is only provided with miniPCI and High Rate 128 solutions. IMPORTANT! Always, always, always try to get your wireless network going without encryption first. For more information about the xWireless LAN Widget, please visit http://www.os2warp.be/index2.php?name=wifistate#02. 6. Security restrictions? What about encryption? With the increased reliance on wireless local area networks, businesses are increasingly more concerned about network security. Network managers need to provide end-users with freedom and mobility without offering intruders access to the WLAN or the information sent and received on the wireless network. With a WLAN, transmitted data is broadcast over the air using radio waves. This means that any WLAN client within an access point (AP) service area can receive data transmitted to or from the access point, since it is just a matter of "picking up" the waves at a certain frequency (2.4GHz, 5GHz) and "deciphering" them. Because radio waves travel through ceilings, floors, and walls, transmitted data may reach unintended recipients on different floors or even outside the building that houses the AP. With a WLAN, the boundary for the network has moved. Without stringent security measures in place, installing a WLAN can be the equivalent of putting Ethernet ports everywhere, including the parking lot. Because of these security concerns, many network managers have been reluctant or unwilling to deploy WLANs, especially in light of the vulnerability of the Wired Equivalent Privacy (WEP) keys that are used to encrypt and decrypt transmitted data (even for this limited form a security, there are ways to break it). Several research papers and articles have highlighted the potential vulnerabilities of static WEP keys. In addition, hackers have ready access to tools for cracking WEP keys, such as AirSnort, which enables an attacker to passively monitor and analyze packets of data and then use this information to break the WEP key that encrypts the packets. Network managers need reassurance that WLANs can provide the same level of security, manageability, and scalability offered by wired LANs. WEP currently is available in all OS/2 WLAN drivers. For this section, I made use of CISCO's White Sheet about Security Issues related to WLANs. As with other networks, security for WLANs focuses on access control and privacy. Robust WLAN access control prevents unauthorized users from communicating through APs, the WLAN endpoints on the Ethernet network that link WLAN clients to the network. Strong WLAN access control ensures that legitimate clients associate with trusted, rather than "rogue" APs. WLAN privacy ensures that only the intended audience understands the transmitted data. The privacy of transmitted WLAN data is protected only when that data is encrypted with a KEY that can be used only by the intended recipient of the data. SSID is a common network name for the devices in a WLAN subsystem; it serves to logically segment that subsystem. An SSID prevents access by any client device that does not have the SSID. By default, however, an AP broadcasts its SSID in its beacon (a beacon frame are the frames that the AP sends every 20 milliseconds whenever it doesn't receive frames anymore). Even if broadcasting of the SSID is turned off, an intruder or hacker can detect the SSID through sniffing (sniffing means, "catching waves" and trying to decode them). The 802.11 standard, a group of specifications for WLANs created by the Institute of Electrical and Electronics Engineers Incorporated (IEEE), supports two means of client authentication: open and shared-key authentication. Open authentication involves little more than supplying the correct SSID. With shared-key authentication, the AP sends the client device a challenge text packet that the client must then encrypt with the correct WEP key and return to the access point. If the client has the wrong key or no key, authentication will fail and the client will not be allowed to associate with the access point. Shared-key authentication is not considered secure, because a hacker who detects both the clear-text challenge and the same challenge encrypted with a WEP key can decipher the WEP key. Also, encryption is performed via the RC4 encoding algorithm, which is already well-known to expert-hackers. Another type of key that is often used, but is not considered secure, is a "static" WEP key. A static WEP key is a key composed of either 40 or 128 bits that is statically defined by the network administrator on the AP and all clients that communicate with the AP. When static WEP keys are used, a network administrator must perform the time-consuming task of entering the same keys on every device in the WLAN. If a device that uses static WEP keys is lost or stolen, the possessor of the stolen device can access the WLAN. An administrator won't be able to detect that an unauthorized user has infiltrated the WLAN, until and unless the theft is reported. The administrator must then change the WEP key on every device that uses the same static WEP key used by the missing device. In a large enterprise WLAN with hundreds or even thousands of users, this can be a daunting task. Worse still, if a static WEP key is deciphered through a tool like AirSnort, the administrator has no way of knowing that the key has been compromised by a hacker. So you can immediately see now why I've already discommended WLANs for business endings. 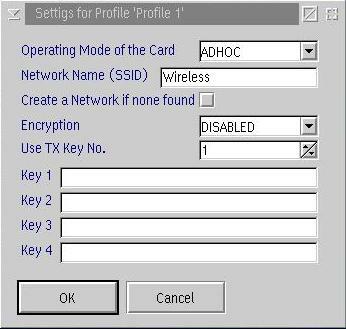 Some WLAN vendors support authentication based on the physical address, or MAC address, of the client Network Interface Card (NIC). An access point will allow association by a client only if that client's MAC address matches an address in an authentication table used by the access point. But MAC authentication is an inadequate security measure, because MAC addresses can be forged, or a NIC can be lost or stolen. While traditional WLAN security that relies on SSIDs, open or shared-keys, static WEP keys or MAC authentication is better than no security at all, it is not sufficient for the enterprise organization. Only very small businesses, or those that do not entrust mission-critical data to their WLAN networks, can rely on these WLAN security types. All other enterprises and organizations must invest in a robust, enterprise-class WLAN security solution. Although traditional WLAN security that relies on open or shared keys and static WEP keys is better than no security at all, it is not sufficient for the enterprise organization. Only very small businesses, or those that do not entrust mission-critical data to their WLAN networks, can rely on these WLAN security types. All other enterprises and organizations must invest in a robust, enterprise-class WLAN security solution. Nowadays, more modern security measures are available. Newer technologies like IPSec, EAP/802.1x, EAP/TLS, PEAP et cetera. Surely, they will be better then WEP, but they are more software-based security solutions, thus mostly Windows-only, and thus not available on the OS/2 Warp platform. This section was taught at the WarpWeekend 2003 event in Roermond, the Netherlands. This section is only for people who want the theoretical background of why the WEP (Wired Equivalent Privacy) is awfully insecure. If you are currently still having problems with the previous sections, then please skip this section and get back to it at a later time when you have a complete knowledge. One note you should remember during the study of this section is that WEP is defined in the 802.11 standard, not the individual standards for 802.11b, 802.11a, and 802.11g task groups. As a consequence, WEP vulnerabilities have the potential to affect all flavors of 802.11 networks (except newer 802.11 standards that replace WEP like 802.11i). The columns in0 and in1 are in fact the two inputs, two wires connected to the gate, and there's only one wire that leaves the gate, called out. What is bitwise XOR'ing? Consider first our data. It is being sent as a plaintext message. That means that in fact, the data is being transferred as text, thus as a sequence of ASCII characters, which we express in binary (strings of 1s and 0s because our computer can only understand those two binary digits). Suppose we are going to bitwise XOR the characters of our plain text string, which are all ASCII characters. Suppose that we are going to XOR the characters n and b. They have ASCII values 110 and 98 respectively, which are decimal numbers. However, we must express these two characters in binary so that the computer can understand what we mean. If we convert, then we have respective binary values of 01101110 and 01100010. Now, just as we have the units, tens, hundreds, thousands in our decimal number system, in binary (radix two), we have such things too. In fact, these things assign a particular weight to a specific digit. Anyway, consider the bit string of n: 01101110. The rightmost 0 is on the units place, the 1 at the left of it is at the 2^1s place, the bit at the left at the 2^2s place and so on... Now what we're going to do is just XOR the respective bits of the bit strings of n and b. We're starting from right to left, but note that we can reverse this process without any problem. At the place of the units (2^0) we have respective bits 0 and 0. XOR(0,0) = 0. Now we move one place left (thus we're now at the place 2^1). XOR(1,1) = 0; again one place to the left: XOR(1,0) = 1, and we continue in this way till we reach the left side of the bit strings. This is what bitwise XOR'ing is. As we already explained, WEP requires that each wireless network connection share a secret key for encryption purposes. WEP doesn't define key management techniques such as the number of different keys used within a network or the frequency to change keys. In practice, networks use one key among access points and change keys infrequently, as most vendor implementations of WEP require that keys be changed manually. The key stream produced by WEP's RC4 algorithm depends upon BOTH the secret key and the Initialization Vector. The Initialization Vector is used to ensure that subsequent data packets are encrypted with different key streams, despite using the same secret key. The Initialization Vector is a 24 bit field that is unencrypted within the header of the data packet, as shown above. Now consider the diagram above that explains how we encrypt our data. As already said, we send our data as plain text, a series of ASCII characters. We target a mathematical function, assume it is called CRC32 on this plaintext. CRC32(Plaintext Message) = a certain number. This certain number is what we're going to convert to base two, and will then fit in 32 bits. We now create a new array of 0s and 1s: the first bar of the diagram. Then we are going to produce a Keystream. Again, we use a mathematical function: this time the RSA RC4 algorithm, that is actually the real encoding part of the system. RC4(V,K) equals a key string, which we can easily convert to binary (1s and 0s). This is the second bar in the diagram. Now, we are going to bitwise XOR these two bars, and we get what is called the Ciphertext. We're now just pasting the Initialization Vector (24 bit) in front of that, and we have our packet of encrypted data via WEP. 11Mbps + ((1500 bytes per packet) * (8 bits per byte)) = 916.67 packets that are transmitted each second. 16777216 Initialization Vectors + (916.67 packets per second is) = 18302.41745 seconds to use all Initialization Vectors. (18302.41745 seconds) *( 60 seconds per minute) * (60 minutes per hour) = 5.0840048 hours to generate all Initialization Vectors. XOR - "a" & "b"
Therefore, when using the same secret key (just trying, it's only 128 bits long), the XOR'ed value of the plaintext messages ("a" and "b") is equivalent to the XOR'ed value of the encrypted messages. Thus, if an attacker has knowledge of the contents of one plain-text message when an IV collision occurs, the attacker could then decipher the contents of the other plain-text message without any knowledge of the key stream used for encryption. WiFi Protected Access (WPA) The WiFi Alliance put together WPA as a data encryption method for IEEE 802.11 wireless LANs. WPA is an industry-supported version of 802.11i utilizing the Temporal Key Integrity Protocol (TKIP, the successor of WEP), which fixes the problems of WEP, including using dynamic keys. WPA will serve until the 802.11i standard is ratified early 2004. Extensible Authentication Protocol (EAP) EAP is an 802.1x standard that allows developers to pass security authentication data between a RADIUS (some dial-in server) and the access point and wireless clients. EAP has a number of variants, most of them are proprietary technologies: EAP MD5, EAP-TTLS (EAP-Tunneled TLS), LEAP (LightWeight EAP) and PEAP (Protected EAP). Cisco LEAP Or EAP Cisco Wireless is an 802.1x authentication type that uses a log-on password as the shared secret. When a wireless access point communicates with a Cisco LEAP-enabled RADIUS server, Cisco LEAP provides access control through mutual authentication between client devices and the wireless network, and provides dynamic, per-user WEP keys to help protect the privacy of transmitted data. The Cisco 350 OS/2 drivers, which was referred to earlier, is planned to support LEAP. Documents are available under IBM Business Contracts to enable LEAP with the Cisco 340 driver. 6.4. Where does this leave us with OS/2? For now, WEP is available using all current OS/2 device drivers. As said, the LEAP security protocol is not officially supported by IBM's business device drivers. But documentation to get LEAP running with the CISCO 340 driver is available if you've got IBM business contract for the driver. 7. And what about Linux? All devices that currently work under OS/2 will most likely also work on the Linux platform and vice versa. For the Orinoco chip, two drivers are in wide use. The older wlan_cs driver, and the newer driver orinoco_cs. For the CISCO products, there is also an Open Source driver available for the AiroNet product series (although you need t specify the WEP keys every bloody time you boot). About PRISM, Linux has fewer drivers than OS/2 for the moment. The only driver that is really usable is a driver for Intersil PRISM2 (there are also other drivers, but they are either unstable, or written for specific devices). http://www.hpl.hp.com/personal/Jean_Tourrilhes/Linux/ will provide you with all possible answers to your questions. OS/2 CHL is currently putting intense effort in an article identical to this, but which applies to the GNU Linux platform. This article will be included in the OS/2 Hardware Infosheet as is referred to in the links below. If you have already hated these wires for so long, I'd definitely go for it. IEEE 802.11b cards that work with OS/2 are not that expensive; also, they are an alternative for wired NICs, for which manufacturers tend to develop less and less NDIS 2.01 drivers, the drivers we need for the OS/2 Community. For business ends, I would say: Go for something else. IEEE 802.11b is not as fast as regular 10/100Mbps network adapters, and certainly is inferior to the speeds offered by Gigabit Networks. WEP is not a really good answer to security issues, and it doesn't seem that effective security solutions will be available in the future. With an eye on the very near future, you'll also be able to use your existing WiFi card for hot spots, a bright new, and interesting technology that could mean TRUE mobility. OS/2 has now drivers for the most popular chipsets in use today for IEEE 802.11b devices, and development continues (maybe there will be an Atmel driver soon). All in all, I would target WiFi cards not for business networked connectivity, but for DSL or cable connections and perhaps for small home networking. OS/2 Wireless Users Forum by Lewis Rosenthal. Please note: IBM (International Business Machine Corp.) is a very large world-wide company. Due to its largeness, a very diverse set of announcements are officially made, but unfortunately, from time to time, a lot of rumors are also passing in the world. I tried my very best to be as accurate and precise as possible, though mistakes can never be overcome. If, despite of all efforts that have been done with the help of IBM Germany, incorrect statements about IBM should occur, then I do apologize for these inconveniences, and I'll try to correct mistakes as much as possible. It is my intention to provide correct information. All OS/2 CHL hardware testing team member for their continues effort and drivenness to pursuade with os2warp.be.